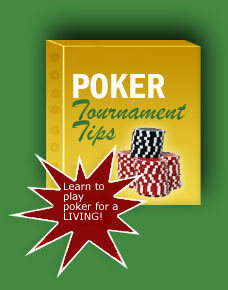 Seven Card Stud Poker is possibly the most well-known poker game next to Texas Holdem Poker. It is often the standard poker game played in home games throughout the world as well as a favorite in many poker rooms. Each player starts with a 3-card hand. If you play until the end the hand, you will finish with 7 cards in your hand, four face-up and three face-down. There are no community cards unless the dealer runs short of cards at the end. In this case, instead of giving each player his/her own card at the end, a community card will be dealt. 1- Each player is dealt three cards, two face down ("hole cards") and one face-up ("up card"). 2- The lowest card starts the betting with a "bring in". The first betting round proceeds with the lower betting limit. 4- The second betting round proceeds with the lower betting limit. However, if any player's two up cards make a pair, then any bettor may make a bet equal to the higher betting limit. From this point on the higher limit is in effect for the entire hand. Action begins with the "bring in" and proceeds clockwise. Subsequent round start with the highest exposed hand and continue clockwise. At Showdown, the high hand wins. Each player may use any five cards from his/her hand.